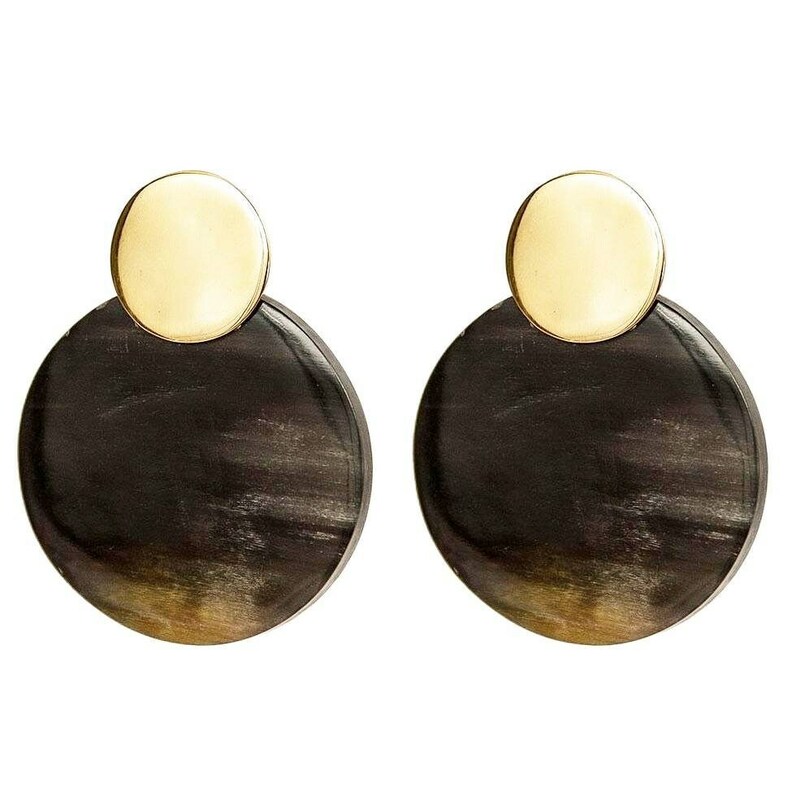 Earrings in brass and Horn to a double circle style sculptural statement oversized double disc. 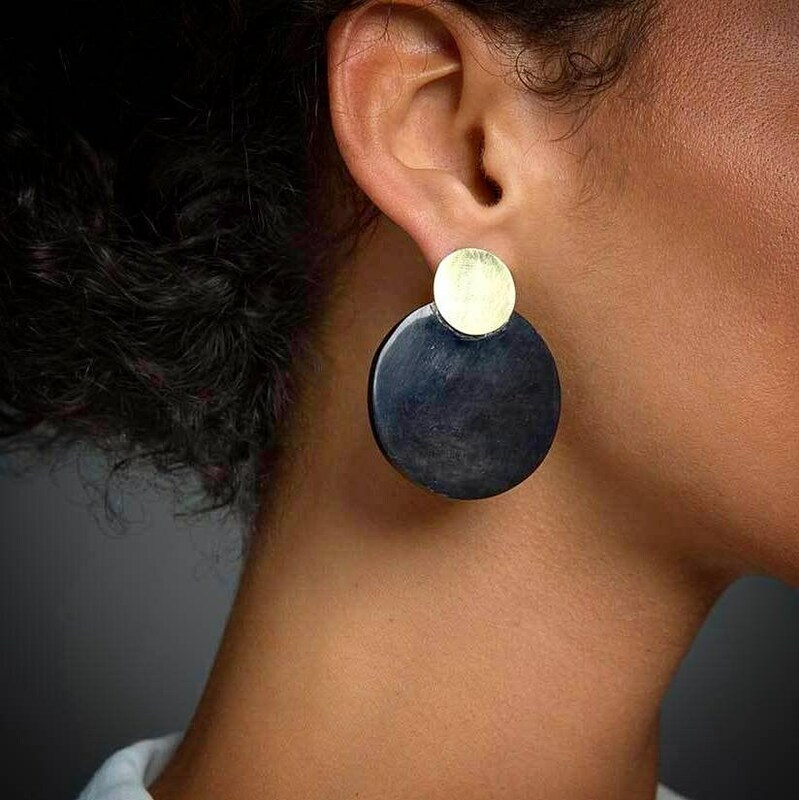 Handmade in brass and cow horn by Haitian artisans using traditional techniques. Each is unique and may vary slightly. The Horn is a natural and sustainable material. It is unique with its rich and varied colors. The use of the Horn is legal. Each piece is unique and made entirely by hand with quality finishes and French. Your jewelry or accessory comes in a pouch with a certificate.